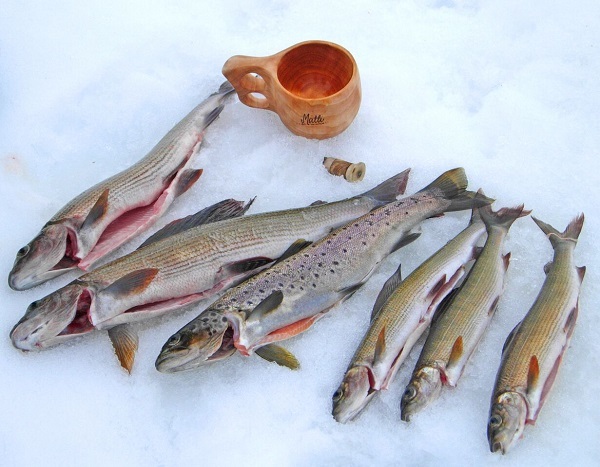 Learn to fish like the locals! 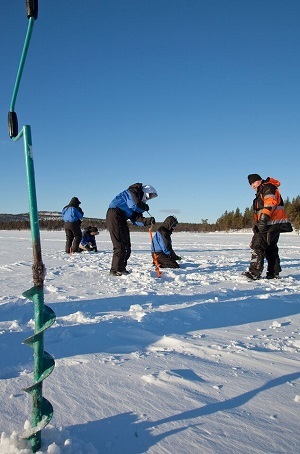 Driving on snowmobiles or riding in a sled across the impressive frozen Lake Inari, you will follow your guide to the best spots for drilling a hole in the ice. Then it’s a case of sitting patiently in the vast white landscape, hoping for something to bite. 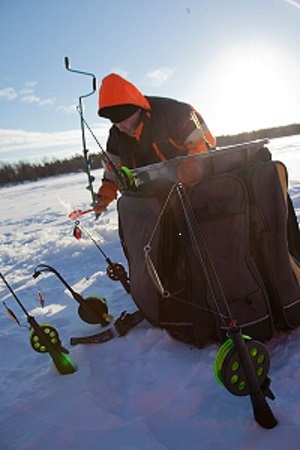 And if you don't have any luck with the fishing line, we can always check our nets under the ice on our way back. When fingers and toes start to feel chilly, we will warm up by an open fire. Lunch is included in the price. 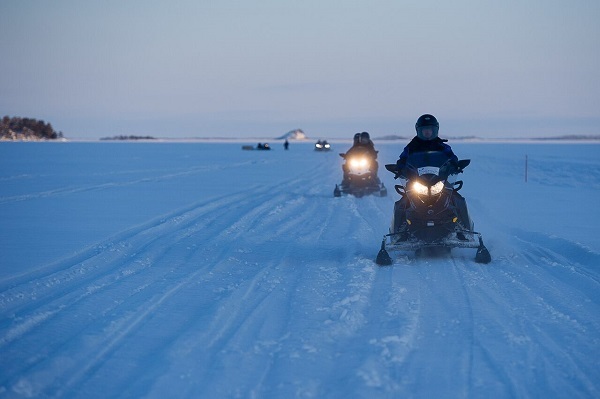 • The driver of a snowmobile has to be at least 18 years old of age with a valid driver's license. • Children sit in a sleigh pulled by the guide. • Every participant is required by law to wear a helmet. • Producer reserve the right to interrupt a safari if a participant is seen as a potential danger to him/herself or to other participants. • Producer reserve the right to change the program due to safety, weather conditions etc. • NOTE: The self liability is 800 €/ snowmobile in case of accident. • Safaris are not recommended for pregnant women. • If the customer makes a cancellation 14 days or less before the date of activity (Excluding 20.12.2018 –05.01.2019 - 30 days or less), 100% of the total amount will be charged. • Refunds will only be made in the case of illness. • To claim a refund, a medical certificate needs to be sent to Saariselkä Booking within 2 working days of the cancellation date. • Please note that booking terms are different for groups. Winter 2018-2019. Updated 04/18. We reserve the right to make changes.